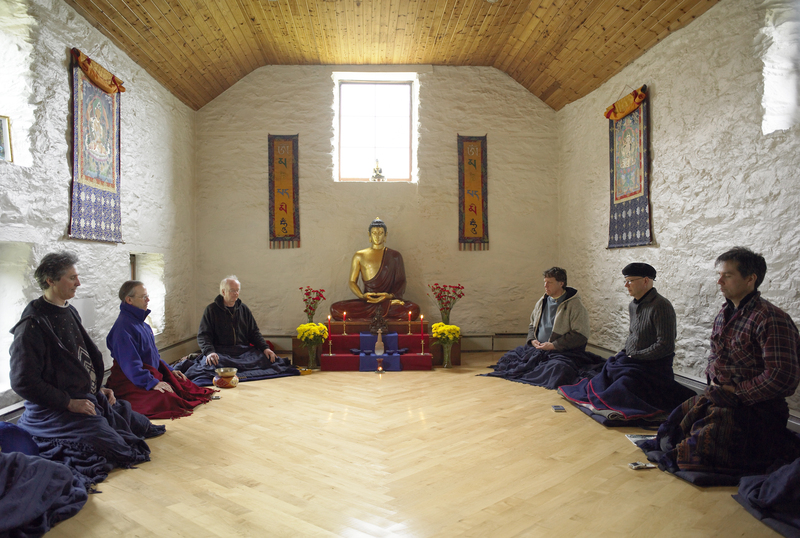 On all retreats, irrespective of the theme, our main focus is to help retreat participants engage with the specific needs of their own meditation and Dharma practice. Themes we may focus on include all the principal kinds of Buddhist meditation: mindfulness practice and the mindfulness of breathing, the development of loving-kindness (metta bhavana) and the other ‘sublime abodes’ (compassion, joy and equanimity), Dharma reflection and insight (vipashyana) practices, just sitting and formless practice – opening to awareness. Practice retreats provide an opportunity to meditate in the inspiring conditions of Vajraloka, but without any teaching input (one-to-one meditation reviews are optionally available). The simplicity of this format, can support people in following the rhythms and currents of their own practice.